The Nebula-class Star Destroyer, also known as the Defender-class Star Destroyer was the largest, most powerful warship design in the New Republic's New Class Modernization Program. Although it was only 1,040 meters long (65% of the length of an Imperial-class Star Destroyer), the Nebula-class was built to be a match for an Imperial II. It was designed to be able to defeat any one enemy Star Destroyer, two heavy cruisers, or an entire line of smaller Imperial support ships. It was designed with defenses strong enough to resist even some of the smaller Super Star Destroyers or analog warships. Following the New Class practice of using the same hull for multiple configurations, the Nebula-class Star Destroyers shared their basic spaceframe design with the Endurance-class fleet carriers. The armament of the Nebula-class Star Destroyer consisted of 40 heavy dual turbolaser cannons, 40 turbolaser cannons, 20 ion cannons, 8 tractor beams projectors, and 8 assault concussion missile tubes, each equipped with 30 missiles. 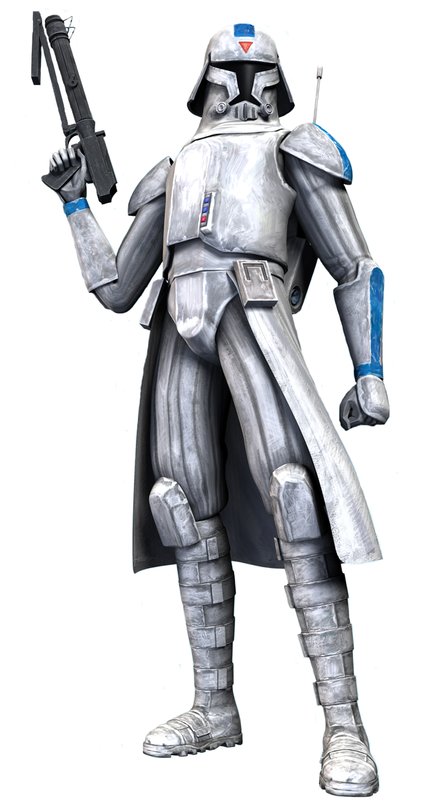 Despite the touting of far superior firepower over the Republic-class, the two had nearly similar armaments: the difference was eight concussion missile launchers for the Nebula, and two additional tractor beams for the Republic. The power generation and model of guns was different enough to make the Nebula a far superior design to the Republic. The ships could carry up to sixty starfighters and shuttles, normally including one wing of three fighter squadrons, plus support ships. 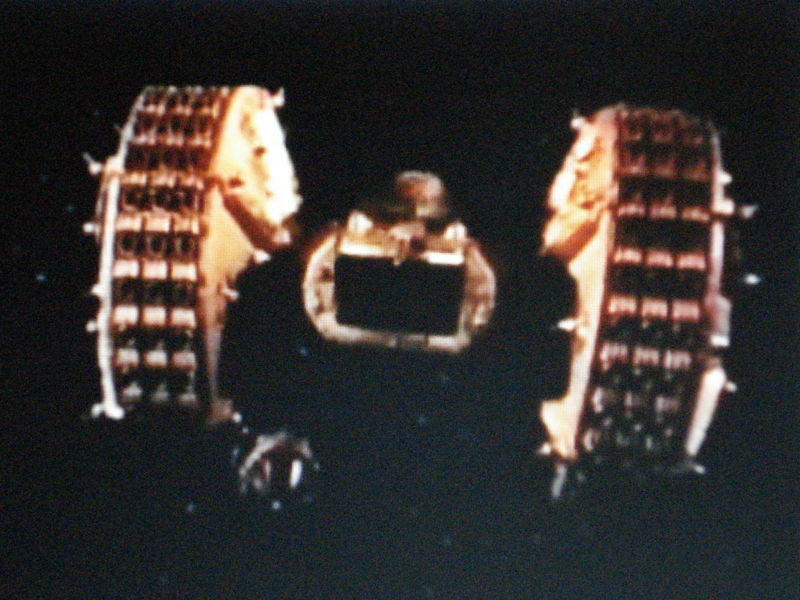 Fighters deployed included short-range K-wing bombers and Defender starfighters, as well as hyperdrive-equipped E-wings, A-wings or upgraded X-wings. Nebula-class Star Destroyers were equipped with a Class 1 hyperdrive, and they carried 1,600 troops and enough consumables for five to six months, depending on configuration. 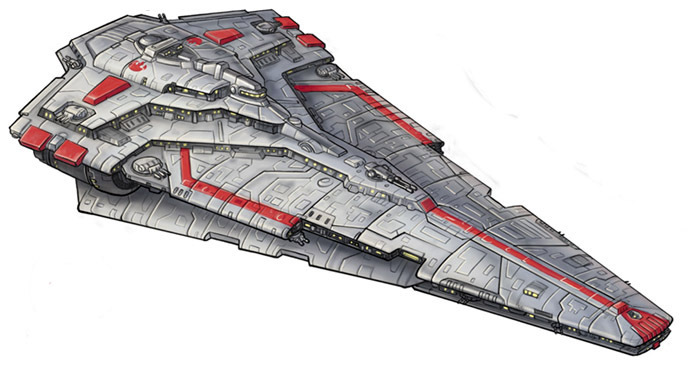 Originally part of the Defender design program developed soon after the Battle of Endor, the "DSD", or "pocket Star Destroyer", eventually entered service almost a decade later, but even during the Yuuzhan Vong War, it represented the peak of modern, efficient Star Destroyer design. Due to the process of building compact, yet powerful warships of this sort, only a small number of Nebula-class ships were built, with ten being in service c.17 ABY, and one more being launched every year afterwards. When the Yuuzhan Vong invaded, the few ships of the New Republic's valuable Nebula-class were kept close to the Core Worlds in reserve fleets. Despite this, Nebulas performed well in clashes with the extra-galactic warships.